RIO CELESTE RIVER: Hidden within the cloud forests of Tenorio National Park, the magnificent bright blue Rio Celeste Waterfall will take your breath away. Local legend says that the Rio Celeste’s blue is a result of God washing his paintbrushes there after colouring the sky. You can park your van at the entrance of the Park that has night guard. LLANO DE CORTES WATERFALL: Scramble down a short, steep trail to reach this spectacular 12m-high, 15m-wide waterfall, which you’ll be able to hear as soon as you get out of the van. 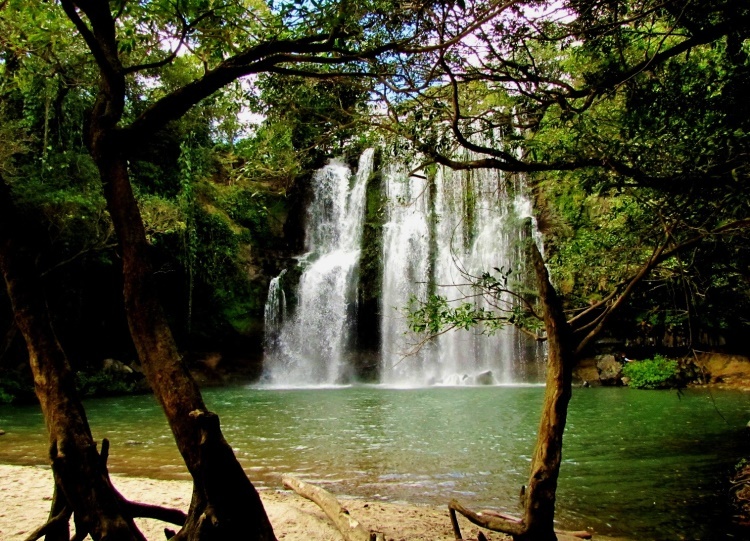 The falls drop into a tranquil pond with a white sandy beach that’s perfect for swimming and sunbathing. Go ‘backstage’ and relax on the rocks behind the waterfall curtain, or shower beneath the lukewarm waters. There is a parking at the entrance of the waterfall that could be a nice place to spend the night. CAHUITA NATIONAL PARK: Lying on Costa Rica’s stunningly beautiful Caribbean coast and facing the Atlantic Ocean, the Cahuita National Park is one of the most amazing national parks in the country. His main attraction is its underwater world, which is home to a fantastic array of marine life and the largest coral reef in Costa Rica, Tourists from all over the world flock to this national park because the fantastic snorkeling and underwater diving opportunities, as well as because of the park’s white sand palm tree lined beaches and crystal clear blue waters, which are ideal for swimming. You’ll find divers camping around or public area where you can spend the night. PLAYA SAMARA: A quaint little town, Samara has been called more than once “the black hole of happiness”. The main road here leads straight into town and ends at the stunning beach where you can sunbath all day long or try al the activities this nice beach offers you. You also don’t want to miss to discover all the wild beaches nearby (e.g. Playa Barrigona, Mel Gibson’s beach). You can find more than one camping to park your Van or a lots of secluded places to spend the night counting the stars. 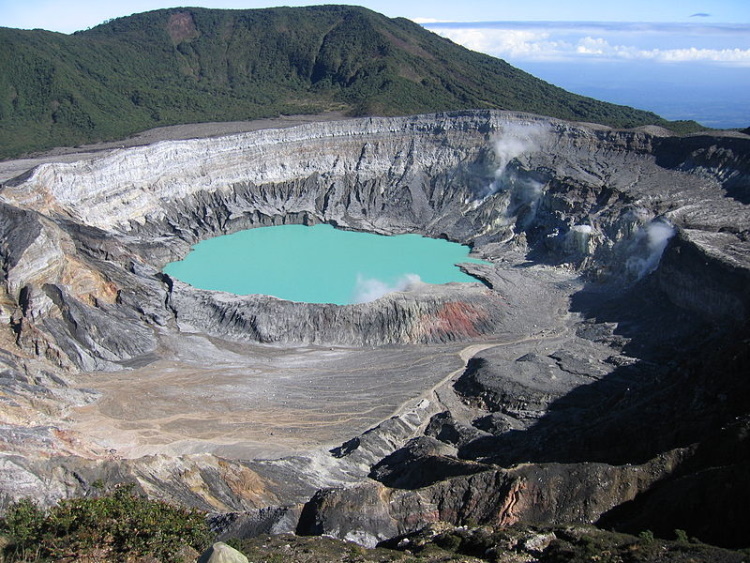 VOLCAN POAS: At the beginning or at the end of your trip a visit to the Poas Vulcan is a must! Only 45 min with your campervan from the airport, the Vulcan offers a breathtaking view of his crater and his lake. ← previous post Costa Rica has 9 of the 10 more beautiful beaches of Central America.